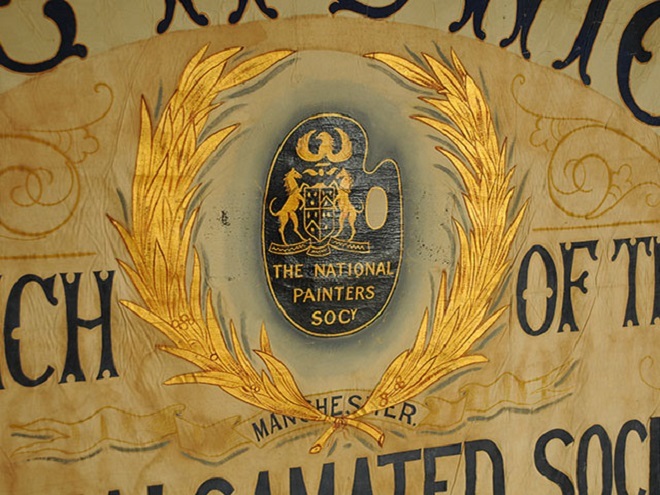 In 1856 the Manchester Alliance of Operative House Painters was founded, grouping together a variety of Manchester’s local unions. 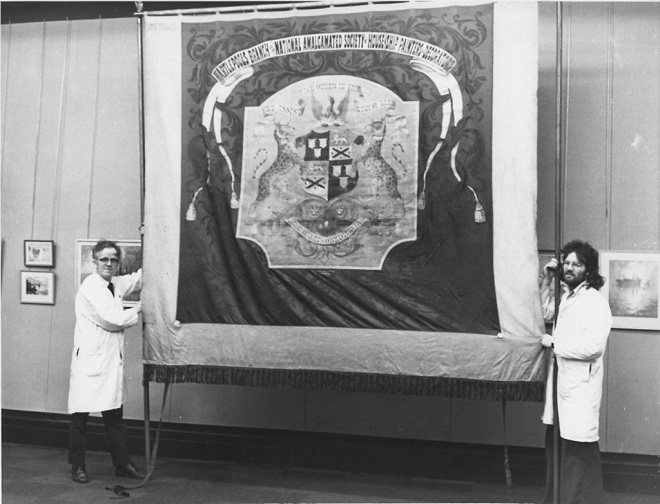 The union underwent various identities throughout the decades, merging with others until it finally became, the National Amalgamated Society of Operative House and Ship Painters and Decorators (NASOHASPAD). 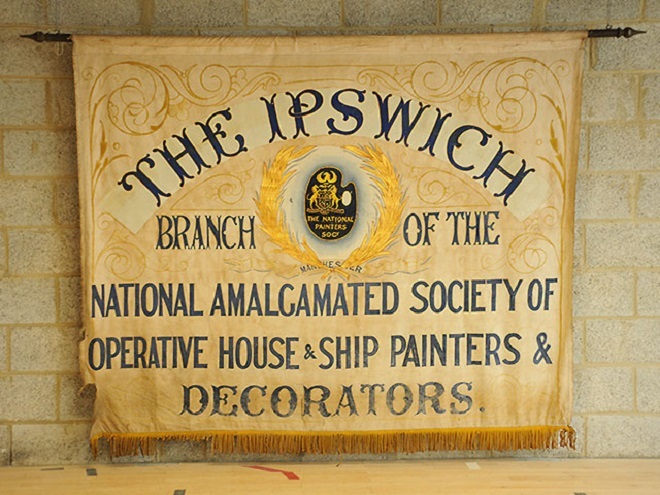 Our banner represents the Ipswich branch dating from the 1920’s, just before the union shortened its name simply to, the National Society of Painters. 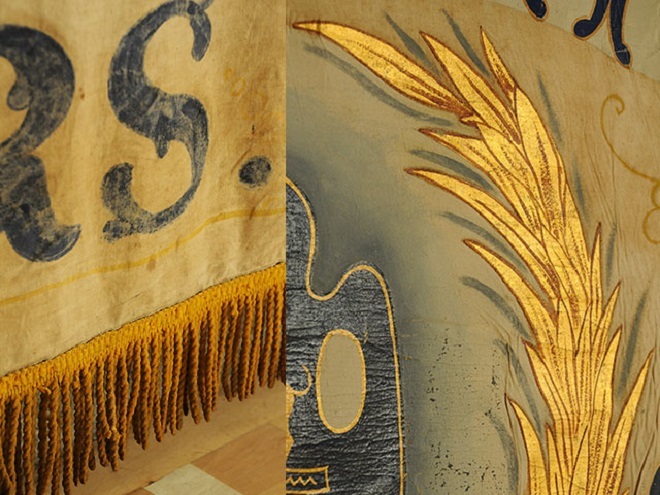 It still hangs on its original oak pole and the colour and detail of the painting have been beautifully preserved. 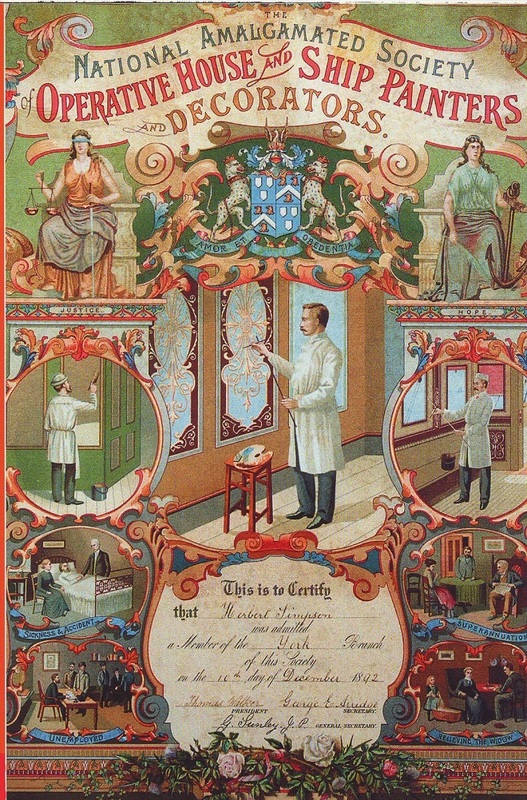 See our curiosities section for more unique wall hangings and charts.